Listed Below are some of the events that took place during Expo 86 special tribute to land travel. Steam Expo: May 23 - June 1. More than 20 operating steam locomotives plus a splendid array of vintage rail cars form the largest North American show of steam locomotives since the 1948 Chicago Rail Fair. The Steam Expo display site was located three blocks east of Expo 86 East Gate in the CPR train yards. Grand Parade of Steam -- May 23. 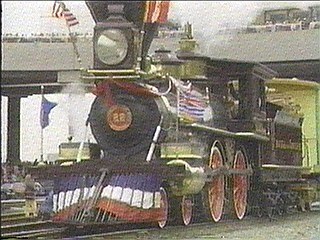 All trains involved in the show were invited in a parade along Vancouver's waterfront. Vintage Steam Festival -- May 23 - June 1. The Vintage Steam Festival celebrated the steam engines that once powered agriculture, marine and logging equipment in British columbia and the Pacific Northwest in the early 1900s. Vintage International Antique Auto Show: July 6 - 9. 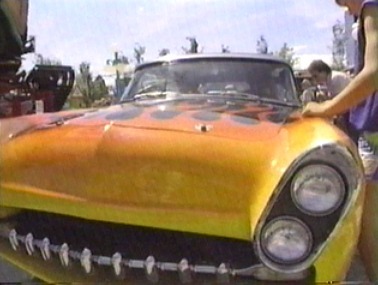 From across North America and Europe, 500 of the world's finest vintage automobiles along with some 100 selected custom cars, street rods and high performance vehicles assembled for a unique show spanning more than five decades from the turn-of-the-century to the 1950s. Transportation and Highways Display: July 6 - 18. The BC Department of Highways joined forces with the United States Department of Highways to unveil several future projects. Boston's "Big Dig" and the "Coquihalla Highway" were two displays of interest. Autorodeo Vaz (U.S.S.R. Stunt Show) July 14 - 19. Making their North American Debut, this daredevil team from the Soviet Union performed 31 separate dangerous stunts.